Big Singing at The Wanton Seed Singing Weekend! And we're off! The sun is out. 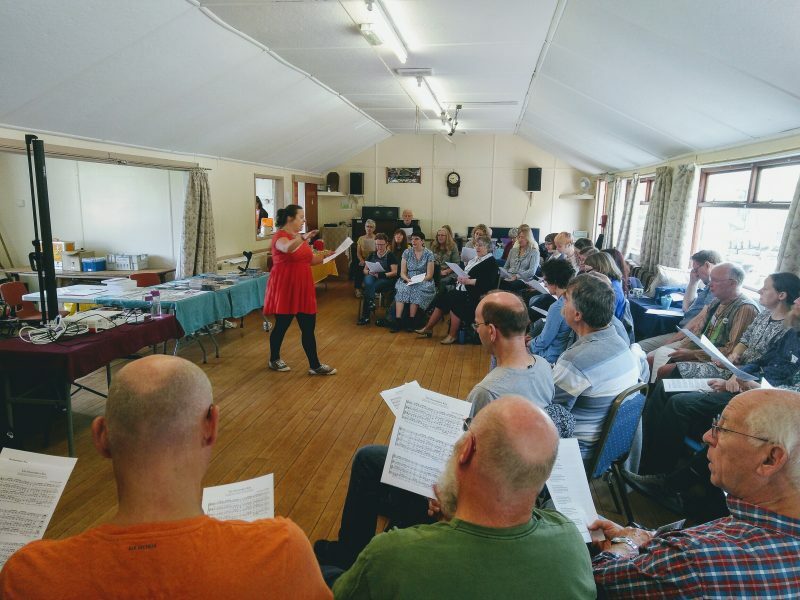 There's blue sky peeping through the clouds, and The Wanton Seed Singing Weekend's Big Sing started at 10am this morning with Bryony Griffith leading over 50 singers through The Shoemaker's Kiss! It sounds glorious!